DAVID LE/Staff photo. 2/19/15. 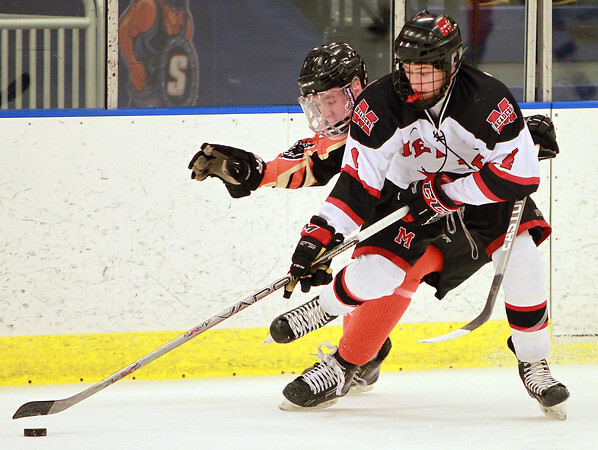 Marblehead senior captain Cam McDonald (4) turns quickly with the puck after avoiding a huge check from Beverly senior captain Brendan Boyle, left, on Thursday evening.